Dethroned former Gov. Elito Spitzer has tiptoed back into the public spotlight with comments about the AIG bonus brouhaha. The former New York governor who stepped down amid a prostitution scandal took on AIG and the federal bailout this week in his financial column on Slate and also on air with WNYC. 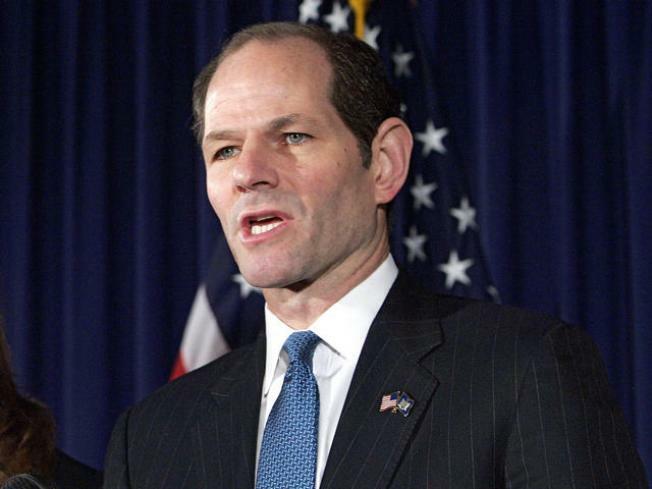 Spitzer had battered American International Group with charges of corruption during his tenure as New York Attorney General. Now he is using this latest financial scandal to strike his old populist, Sheriff of Wall Street themes and , just maybe, mend his reputation. Spitzer says the AIG bonus issue is "penny ante," compared to the billions of the insurer's bailout money funneled to bad banks. And he says Treasury Secretary Timothy Geithner owes America an explanation. As for all those politicians harumphing through the news shows and piling on AIG this week? He notes he took on AIG years ago.